At Canal Mile 88 is a large private campground with campsites for recreational vehicles and tents. The site is located close to the Dam #4 boat ramp. A museum features artifacts from the civil war era. 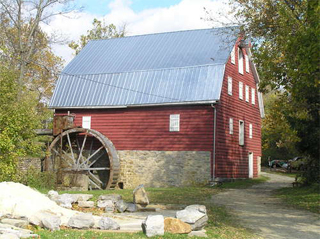 Note: McMahons Mill was damaged by high water in the fall and winter of 2018. It is currently closed until further notice.